We can proudly present a list of the best bookshelf speakers in 2018 for every pocket. Further below you will find a detailed tests of the best bookshelf speakers today, with all data you need, hearing tests and specifications. Does it make sense to offer to the market a faithful copy of something that its star moments had twenty years ago at the time of galloping technological progress? In case of a AE1 Classic certainly do. Because it is a speaker whose level of detail and music is far above its price range. After Aegis One for Acoustic Energy there has been a period of drop in popularity. And when they are in lack of the ideas for the new products, why not look into their own past and give the market a proven product in a new release. 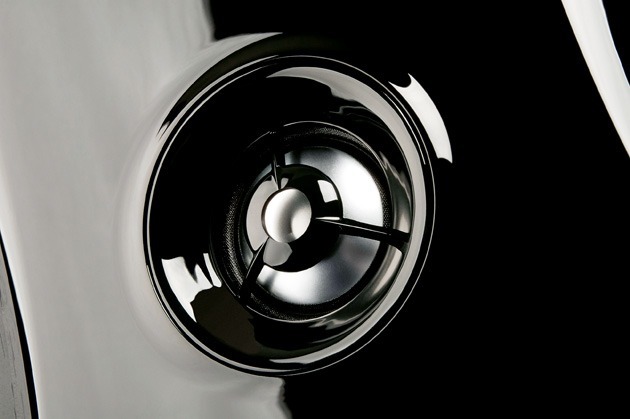 One of their most glamorous products is certainly the AE1, the loudspeaker first introduced in 1988. The AE1 was then extremely popular and commended in the press, followed by a couple of “improved” versions. In the name of a return to the broad market, Acoustic Energy has decided to offer a copy of its most famous monitor. We have already seen something similar to some of the manufacturers, Rogers, for example, who was re-launched legendary LS3/5 under Chinese ownership. Since things have changed significantly in the last twenty years, such a move could be risky, but the distinctive diversity of the AE1 Classic from the current offer of small speakers makes it a special product on the market. Speakers that successfully live (or they lived) in the world of professional audiences (as studio monitors) and in the hi-fi world are very rare. The first to come to mind is of course the legendary studio monitor LS 3/5 according to the BBC specification. AE1 also had a similar destiny, very rare and unique. 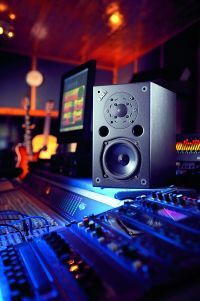 Connecting the characteristics of a studio monitor and their requirements to sound with the demands of hi-fi enthusiasts is a tough task. The main objection is usually that the sound is pre-analytic, it lacks some warmth, the details in the high part of the spectrum are overwhelming compared to the rest of the spectrum etc. But if the monitors are well-made they can provide insight into music in a way that rarely the speaker intended solely for the hi-fi market can. Technical specifications the manufacturer’s pages are exceptionally short and there is nothing more in the material that cames along with the speakers. The box has a magnesium alloy tweeter with a diameter of 25mm, while the bass/midrange is 110mm with a membrane of an anodized aluminum . The maximum power the speaker can handle is 200W. The sensitivity is small – 84db, but as it turns out, these small monitors has no problem with a 40-watt amplifier. Impedance is not specified, but according to the measurements in some online journals its minimum is about 8 Ohms. The box is made of black mat finish and on the back side there are a couple of single-wired connectors, maybe slightly lower quality than we are used to in this class of loudspeakers. The overall impression of design can be described in one word; studio. From a pedigree speaker like this expectations are somewhat bigger and different than others. AE1 already shows its face in the first beats. The piano response to the Tchaikovsky concert for piano and orchestra No.1 is shown extremely clean with a good timbre. In the lowest octaves, though limited in depth due to its size, it shows exceptional control and firmness in the bass. Details in the high-tech area of ​​the orchestra are all the time clearly present and displayed extremely pure without any kind of grain or any other “artistic” contribution of the speakers, are shown as they are on the record, without any embellishment. The details in the middle part of the spectrum are many and clearly present but still provide a slightly lower level of information than the high part of the spectrum. During the orchestra crescenod AE1 Classic showed a characteristic that usually fits into the more expensive speakers, the stage stays in its gaps, with minimal degradation in space, even at higher volumes. Of course, with these same crescendos, there is a clear degradation of microdynamic relationships. The width of the stage is correct, although it can not be said to fall into the top of the category. With all the control it possesses, the characteristic that builds it up from other is the speed with which it is able to convey complex information to such a large number of orchestra performers. After AE1 proved to be exceptionally good with big orchestras, a material that is very demanding for such a small speaker, we played a small band led by an exceptional vocalist Rebecca Pidgeon. The speaker only confirmed previous impressions. The vocals are reproduced very purely and clear. The vocal positioning was done correctly with the natural separation relative to the position of the rest of the band. A slightly smaller stage width which was obvious with the previous orchestral record is now a little bit more obvious. The timbral correction and reproduction of the material as it was recorded comes to expression. The depth of the stage is in accordance with the other two dimensions. For testing until now a fairly defined and fast bass area was served by the Massive Attack album, Mezzanine. 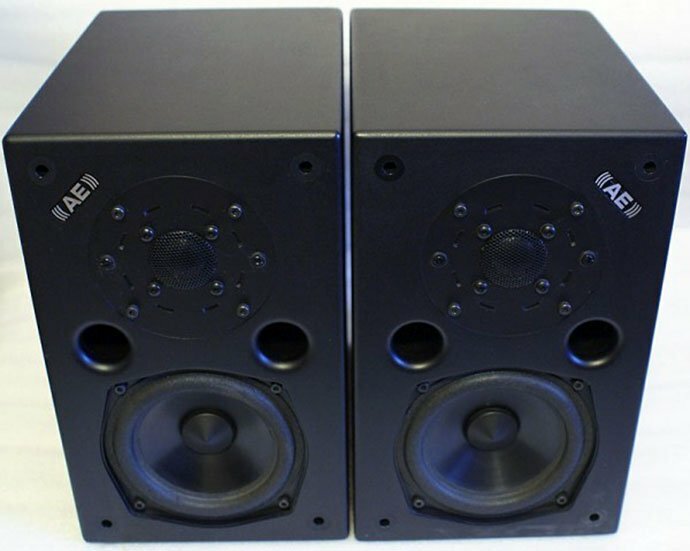 Artificial basses that come extremely deeply set great demands on these small monitors. The bass thunderstorm in the bass area can not be expected from such a small boxes, although considering the size of the AE1, it goes extremely deep, but what is surprising is the ability not to lose the definition and remains assembled no matter what the material demands and leaves the impression that the speaker is still in the catbeart seat regardless of the restriction at the lowest frequencies. The speaker has spent a lot of time listening to these lines and the conclusion is that AE1 can in real terms provide a very special insight into the music material. The level of information provided and pure musicity is far above the price class. Also, the minimal mode of interpreting information from a CD provides the user the ability to listen to music as they imagined in the studio where it was shot, which is a rare option for this price. AE1, although designed for some twenty years, is still a very up-to-date product, and at this time, it is, and unique in the market. No loudspeaker, no AE1, stacks are not in the top, but when it comes to small monitors, nothing comes without a charge. The ability to display a lot of information from the signal coming, to keep all aspects of the sound image at dramatic dynamic ups, is beyond the category. With the real rest of the system, where you need to make sure that the high signal input signal is not too hard, AE1 is a very exciting choice. Elac Debut B5 is brand new vision in which Jones designed speaker units, crossovers and the box. Speakers are designed in California in a brand new environment that Jones equipped according to their own wishes and needs, and to reduce costs production is entrusted to partners in China. That allowed him to in other more important places goes with somewhat better parts and better and more expensive solutions. Spheroidal horn tweeter unit is made of silk and the diameter is 2.5 cm, and it has pretty much deep-seated drive. Such a procedure allows a relatively simple construction to direct the sound waves in the optimum manner, while also avoiding the refraction of the box. Bas and mid-range are covered by 13 cm diameter unit made of aramid fibers for which the constructor quotes clear advantages in the strength-mass relation and damping ability in relation to possible alternations to the units created of treated paper or polypropylene. The company believes that the unit is very flexible related to the rest of the structure and additionally owns clearly heard benefits in width spectrum and good impulsive reaction thanks to a particularly powerful magnet. The crossover is made of seven elements and cutting frequency of 3,000 Hz. Parts of the crossover are indeed very high quality for this class of loudspeakers as well as a pair of metal connectors with which the connection of the speaker cables were easy and without any greater need for a powerful twist to make a solid contact. The box is made of MDF and on the first look is not too massive and convincing, and without internal struts which where left out in the first two models in the series. Among others features we need to mentio “dual flared” bass reflex port on the back of the speaker, protective grid (which we removed during the test) and the basic numbers that talk about 85 dB sensitivity, impedance 6 ohms and the weight of each box of 5.2 kg. The last few constructions which are signed by Andrew Jones and who I had occasion to hear were very good. Preparations for listening included placing the speakers on the stands and after a few minutes of listening removing the grills that are closed the sound picture and made the sound construction slightly unconnected. At that point things came to place. I started really considerably (Charlie Haden, “Private Tapes “) at low volume and in turn got a pretty full sound with formed spatiality, which is had only a little less dynamics. With a volume turned up sound got needed dynamics and solid contours and painted a good space in width and excellent depth perspective. At that point my expectations grew up and tried with a small movements in space draw even more from the speakers. The best results were achieved with a little twisted speakers according to the listening place about two feet away from the walls and with a slightly lower position of the head. Then almost all the parameters we can expect from the speakers in this class have come to the right balance. Listening to extraordinary record(The Band / “Music From the Big Pink”, Original Master Recordings) it has been added a fine alignment of wire and over-precision in instrument volume projection. Loud listening did not cause a stress in the construction, but somewhat hurt definition and focus of the bass areas which was slightly dampen medium microdynamics. Classical music of the string quartet discovers a little bit retired upper treble area but added a lot of space and very natural timbre. Compared to the Elac Debut 5 price we almost had no objections. Those who want to get the maximum out of this speakers need to put them in space and on quality stands. In this case the speakers will deliver full, dynamic and well-connected sound with enough quantity of detail and good space. Andrew Jones has obviously not lost the design skills of the speakers in which it is necessary to meet the compromises. It is a huge happiness to do the job he likes. Skill, pleasure and remarkable feeling for music has been felt for years in the work of the designer through the sound of his speakers. The Elac Debut B5, on the other hand, was a great substrate for a great comeback. Just as the right art is to make a top speaker regardless of price, so it’s a skill to make a cheap speaker that sounds good. The BX2 sounds good. In the audio world the phrase “you get what you pay for” can often be quite literally understood. If you spend a lot of money on the system the chance is that it will not play badly. If you did not take care of the system components synergy and carefully examine and test each of its components, you probably have not pulled the maximum out of it. The real art of composing audio systems is to get as much music for as little money as possible. Over time to the market come a component emerging from the average relationship gained/invested. The example has a variety in all component types, NAD C320 Integrated Amplifier, Cambridge Audio Cheap CD Players, Wharfedale Diamond 8.1 Speakers and what is important for this test – Monitor Audio Bronze B2 speakers that set the standard for the other speakers of that class. After a couple of years came the new version, equally successful, BR2 and now we finally have the third incarnation – these BX2 speakers on the test. The Bronze Series is the cheapest series in Monitor Audio offer and consists of two stand-alone models and two designed for shelves. The differences compared to the last series are visually small and as the manufacturer writes in promotional materials it is just about fine-tuning the entire production process by using better materials and better quality parts. 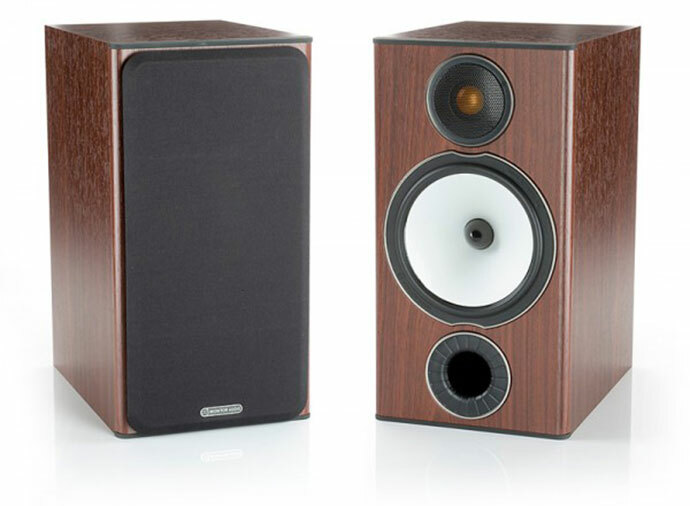 Bronze BX2 is not a small loudspeaker – in range of similar priced speakers it is pretty larger. Regardless of the higher volume, the loudspeaker on the stands looks quite elegant, especially in the color of dark wood. As with all speakers of this class and size we have a bass reflex boxes. 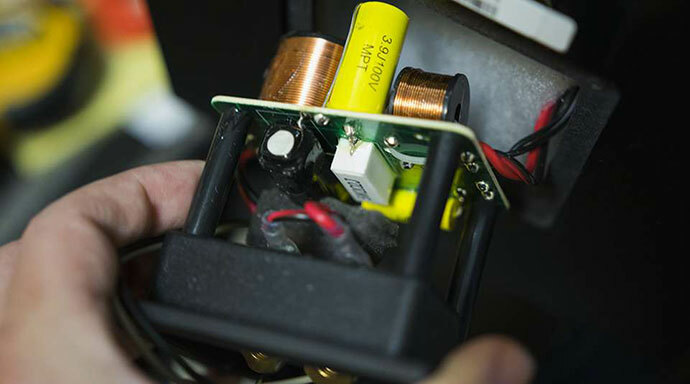 The hole in this model is on the front side while on the back are gold-plated connectors for bi-wiring. The embedded tweeter is already well known, an aluminum membrane coated with a ceramic layer, to achieve high strength of the material and thus a high resonance frequency. This technology in Monitor Audio is called C-CAM. According to the official manufacturer’s materials the resonant frequency of the membrane is close to 30kHz. 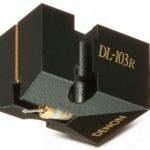 The tweeter diameter is 25mm. The 165mm diameter bass/midrange was also made on the basis of C-CAM technology. The official materials state that a coil and a reinforced magnet have been improved regarding to the last series to provide more linear responses throughout the spectrum covered by this unit. The way of the sound signal on the crossover is shortened to the previous version. That are not all of the improvements made – the bass reflex has been changed and is now made of relief plastic to accelerate the movement of air through the opening itself. We had the opportunity to see a similar concept on Bowers & Willkins speakers at a slightly higher price. There are no visible screws holding the speaker units. Audio Monitor decided to be significantly different from most of the other speaker manufacturers. Instead of making the speaker units tightened for the front panel as it is common in the BX2 they are fixed to a rear panel bracket with a long screw that ties them to the front panel housing. With this principle in Monitor Audio they would like to remove one of the sound coloring sources that makes the usual connection. The BX2 speaker units do not actually have a direct connection to the front panel. The power that these speakers can receive is limited to 100W at the stated impedance of 8 ohms. Sensitivity is high 90 dB that allows these loudspeakers to work very well with weak amplifiers. The hearing test showed that 40W is more than enough to control the loudspeaker at higher volumes. The sound of all the Audio Speaker Monitor I had a chance to test has a clear common background and BX2 is no exception. The sound of their speaker units is truly recognizable no matter what the series is doing. With the jazz standard “Take Five” performed by Dave Brubeck, as well as the latest versions of the Bronze series, the BX2 have a very fast and rhythmic sound. The cleanliness and detail of the high part of the spectrum was really great when considering the price of the speaker. The middle part of the spectrum is the same as the treble – detailed, fast and open. The drummer’s solo section revealed a very good control and bass speed. Bass goes deep enough, but with a relatively large box it could be expected to go deeper. With vocal jazz it reveals new sound dimensions especially with regard to timbral correction and sound transparency. The voice is reproduced very purely with natural colors and volumes. The width of the stage is definitely one of the best I’ve had the chance to hear in this class, the depth is not as high as the height, but it’s really hard to expect in its class. The album of American rockers Queens of the Stone Age sounded very good. The loudspeaker is capable of playing at higher volumes without greater degradation of the sound image and its speed and rhythm are very pronounced in such material. The high part of the spectrum is just as opened as needed but it has never been hard or overwhelmed. Here it should be borne in mind that the rest of the system must match the speakers. A somewhat warmer character of the amplifier or speaker cables is welcome to make the sound very pleasant for long listening. Listening to the symphony orchestra’s recording just confirmed the impressions gained before, the amount of detail that is capable of providing the BX2 is excellent throughout the spectrum. Stage width is very well done with enough space between the artist to avoid unwanted sound jamming. The presentation options of those fine details are in line with the class, perhaps even higher than the price suggests. The bass area is very firm and fast, again not with too much volume, just the way it is. Just as the right art is to make a top speaker regardless of price, so it’s a skill to make a cheap speaker that sounds good. The BX2 sounds great. High sensitivity means that almost all the amplifiers in the class can be driven without any problems. Accommodation is also not a problem and is not too demanding, but they need to be placed on good stands to get the maximum out of them. When choosing other components, make sure that they are not too bright in character as in conjunction with the fast and detailed highlights of the BX2 spectrum the details would not turn into something unwanted. Objections? Of course there are, the space could be better, deeper, but this is not too serious when pricing is concerned. The BX2 is one of the most rounded speakers for its price. More complete than previous model 9.1, Diamond 10.1 is a brilliant speaker for jazz, pop and electronic music, which can be enjoyed for a long time without effort. However, one should be careful with the choice of electronics. Wharfedale has, despite frequent ownership changes, has been synonymous for quality budget speakers for 75 years. Diamond models will celebrate thirty years of success next year, and the 10th series, judging by the second smallest model 10.1, could continue the tradition. The dimensions of the boxes remained the same with respect to the predecessor 9.1, counting the curved sides as well. But two bass reflexes were moved to the back of the box and in Wharfedale they measured that this operation helps the speaker go to a low 48 Hz. There is also a change in the construction of a box that is reinforced on the inside by new compartments for eliminating internal standing waves. The neodymium tweeter of the soft dome has a wired shield that also serves as a diffuser for high tones. The glossy aluminum frame around the kevlar membrane is an effective “fashion” detail that covers a special polymers basket. 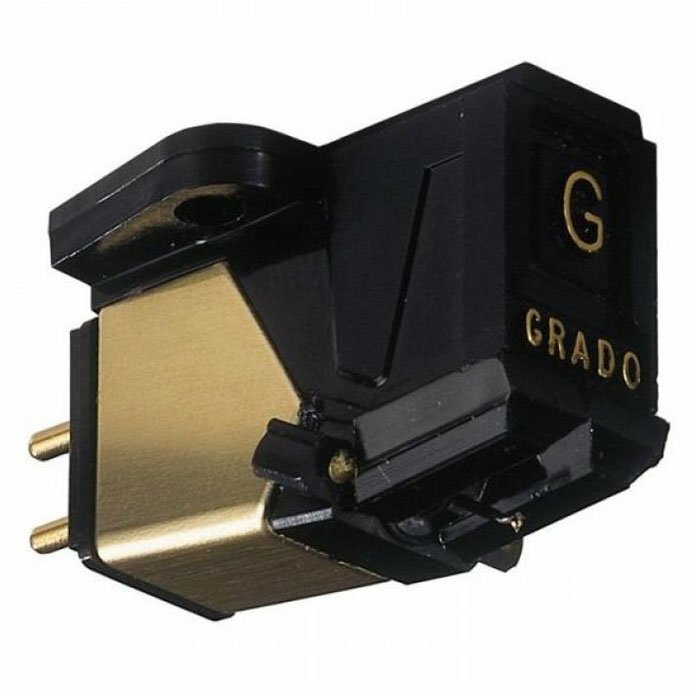 The speaker cartridge is shallower than before because in Wharfedale it is considered that this reduces the effects of reflection movements on the back of the membrane and distortion. The front panel is covered with thick piano-style plastics and the contrast between dark membranes and “silver”, the roughly-shaped frames around them look really handy and expensive. Just like bi-wiring of gold-plated speaker terminals. Diamond 10.1 is a real pleasure for the – the most beautiful design of all Diamond Series. “Take Five” Dave Brubeck is always grateful for the start-ups. The Diamond 10.1 seemed to be a well-balanced, loud speaker with a warmer character. Saxophon of Paula Desmond was natural, relaxed, but in that extraordinary shot there was a little bit less of “air” than we used to. The change of cables (from Qed to Tara Labs) has bring an improvement, just like turning the speaker to the listener. The bass is well controlled, its extension is surprisingly deep even when the speakers are quite distant from the rear wall. Closer to the wall gets even stronger bass but a bit of focus is lost and the seamless connection between the lowest and the middle is distorted. In Beck’s “Lonesome Tears” speaker has been shown in its musicality, though its ultra-low bass waves have been influenced on minor control issues. The instruments are clearly separated, well laid out in the space of a luxurious stereo image, but there are limitations. When the song “complicates” with the layers of string instruments and the middle of the spectrum becomes buried the instruments are somehow closer and more difficult to recognize in the space. Confirmation that Diamond 10.1 complied with its class and price can never do wonders for more demanding designs came through Brahm’s 4th Symphony; Instruments through the system sound timbrally faithfully with a little bit of lack at the extremes, in the full rushes of the orchestra the speaker rein back as it should, but it is too much to expect to completely separate the instruments and provide a virtual deep impression of the great orchestra lines. That’s why with simplier and electronic recordings Diamond provides a “diamond” sound. The introductory bells of the “Hells Bells” from Australian hard-rock band AC/DC spread their bells beyond the outside edges of the speakers and give a sense of size. The guitar riffs and the sound of the cymbals and drums swam with precision and depth of perspective while the “toothed” voice of Brian Johnson floated above the center of the speaker. In a word, the new Wharfedale boxes have made an exciting rock band even more energetic. A similar compliment could be pronounced for the reproduction of electronic music. In Norway’s Royksop duo, the lowest part of the spectrum is not like Beck’s placed speaker to temptation, the extraordinary control of the deep bass in the pulsating “49 percent” proved to be an excellent foundation for a fast, attractive middle segment and “smooth” but transparent high. And as the amplifier volume go up more Diamond 10.1 work better. Diamond 10.1. retained the main characteristics of its predecessor model 9.1. Diamond 9.1 has a more pronounced darkness, 10.1 will also sacrifice the details for warmer sound, but the more representative mid-range spectrum is approaching the neutral character. Second, the 10.1 with two bass reflex holes provides more space to accommodate the ideal deep-tones level by bringing closer/furthe to the rear wall. All in all, 10.1 is a more complete speaker, with better cohesion of the sound spectrum and a bass area that imposes control and volume. A great loudspeaker for jazz, pop-rock and electronic music that can be enjoyed for a long time without effort. However, one should be careful with the choice of electronics. The amplifier of the lighter character of the used Marantz, with an explosive “attack” and more power, could draw even a more out of a talented Diamond. Definitive Technology products on our market have been for some time, and we have been able to see and test some of their interesting products. As compared to other audio producers, Definitive Technology constantly offers a bit of different solutions, such as dipole construction, active bass units, and a few more solutions that are rarely offered by manufacturers. The offer of this manufacturer is extremely wide both in price and in purpose. From high-class speakers, through built-in home cinema to soundboards for tablets. We have prepared a test for the Studio Monitor 55 bookshelf speakers. Most speakers of Definitive Technology have something in them that distinguishes them from the majority – same thing is with Studio Monitor 55. It seems to be the classic design of small speakers. If we look at the speaker tests back in the last ten years, very few of them are not a bass reflex, and especially if we look at the small speakers – here and there comes something out of the standard. 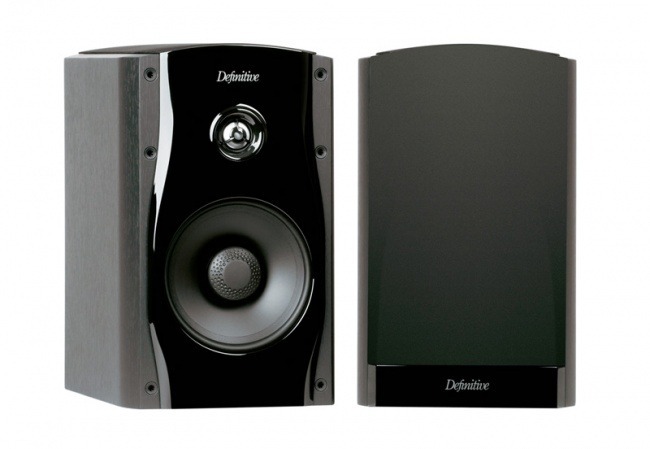 The Studio Monitor 55 is a high quality and well designed speaker available in black finish only. The front panel is high gloss black while the sides are matte black finish. On the front we find a bass/mid-frame with a very specific design with a large phase extension for better sound dispersion 16.51cm in diameter. The tweeter is aluminum-coated with a ceramic layer and 25.4mm in diameter. What makes this speaker different from the rest of the market is that the box is not a bass reflex construction. On the upper side there is a large oval membrane of height 25.40cm and width of 15.24cm. Apparently, it looks very similar like the old Kef oval membrane. This membrane is passive, meaning that there is no coil and magnet that drives it, but its movement is related to the movement of the bass unit. The speaker box is also hermetically sealed so that the movement of the bass unit causes the passive unit to move. When the bass/midrange is drawn, the passive radiator rises and vice versa. Such a construction is not a novelty and we have already seen the speaker of this design through history but today it is rare, especially at a given price range. An example of such a top-of-the-line speaker design but at a higher price was Sonus Faber Electa Amator 2. In theory, this approach has advantages over control, strength and bass efficiency, but of course this depends largely on the specific performance of a particular speaker. Of the other technical features, it should be mentioned that this is a very sensitive speaker, whose declared sensitivity is 90 dB at the impedance of 8 ohms. The maximum power that this speaker can receive is 225W. The height of the box itself is 33.02 cm, width 20 cm, depth 31.43 cm, while the weight of a speaker is 6.8 kg. Studio Monitor 55 has spent more time in the listening room. After the initial tuning that lasted longer than usual, which is commonplace with speakers with an aluminum tweeter, a test has started. It has been shown that the speakers are not difficult to accommodate in space, which can be largely due to the lack of bass reflection of the opening so that they can sound well in smaller spaces or in cases where the owner can not place them away from the rear and side walls. The first listening material was Kind of Blue, Miles Davis. The sound of his trumpet sounded biting and very well defined with a great echo. 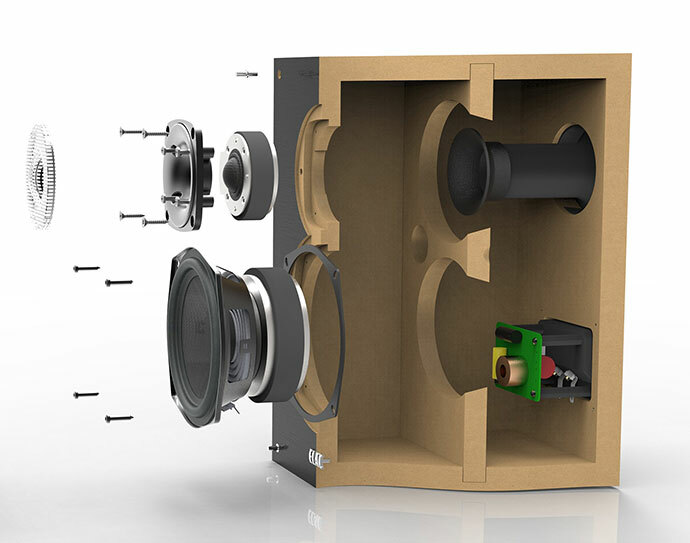 The aluminum tweeter is capable of transferring a lot of detail clearly spaced in the space. The midfield area is well defined and each performer has a clear place on the stage. The minimum presence of coloration throughout the spectrum is one of the strongest trumps of this speaker. When listening to the symphonic orchestration SM55 showed how much detail it can deliver and how precise it is. Stage size is very good in all dimensions and especially in depth compared to other competitors of similar price. 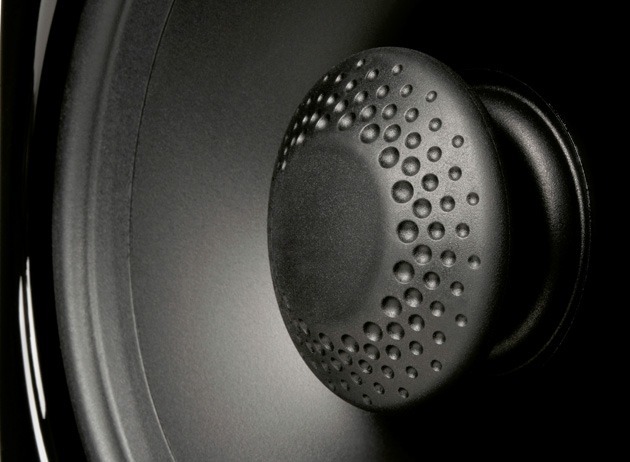 The timpane strikes this speaker reproduces with exceptional strength and speed, and no depth is far behind. Even in the larger room this speaker has been able to fully fill in the sound and provide enough bass. When listening to amplified and computer-generated music SM55 has demonstrated that it can handle without a problem with such a type of material. His great speed and a very good definition made this material fun for listening. But when listening to this often poorly produced material, it turned out that the aluminum tweeter sometimes sounds tough. 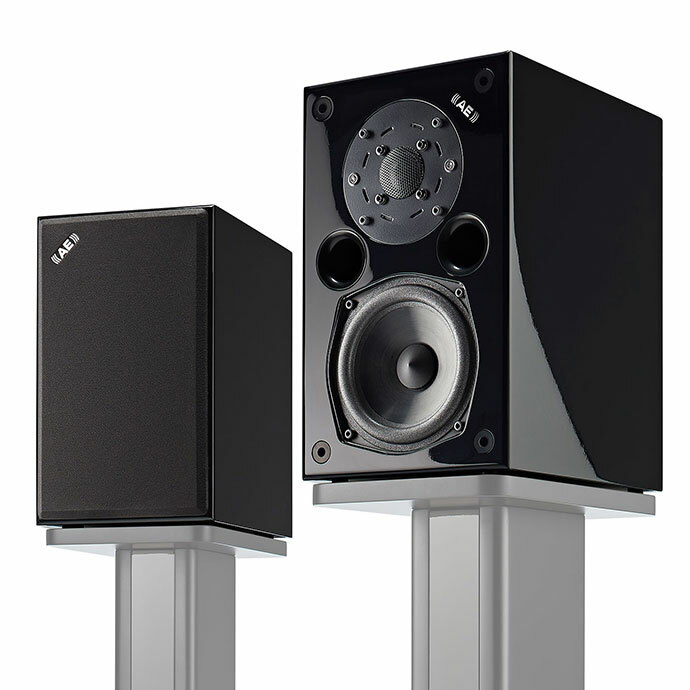 Studio Monitor 55 is an extremely interesting speaker for several reasons. First his construction is different from the rest of the competition. Because of this construction it is capable of delivering the sound that is something new in this price class. With the proper electronics, which is just important not to be too bright in character, can provide a lot in very different listening conditions and fill larger room with sound. And because of its lively character it is pretty good with all kinds of music and even movies. This is the list of the top 5 bookshelf speakers in 2018. It is up to you to choose and buy a new bookshelf speakers by very reasonable prices, as you may see.